South African Nobel Peace Prize laureate and apartheid fighter Desmond Tutu has been admitted to the hospital, but his family hopes he will be released soon. "Archbishop Emeritus Desmond Tutu was admitted to a Cape Town hospital on Tuesday for treatment to a persistent infection," a statement from the foundation of the cleric and his wife said July 14. His family hopes he will be able to return home in a day or two, according to his daughter, Rev. Mpho Tutu, South Africa's Citizen newspaper reported. 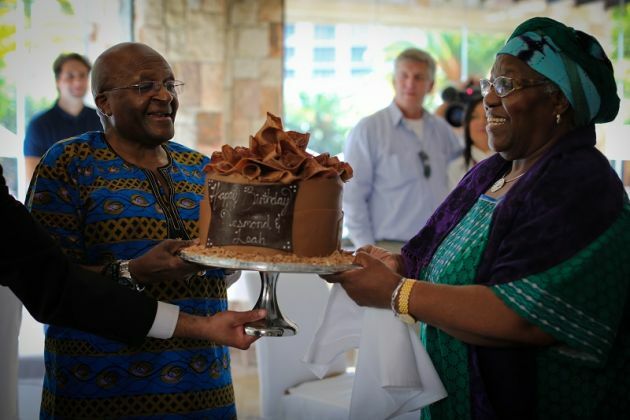 The 83-year-old Tutu and his wife Leah, 82, earlier this month renewed their wedding vows on their 60th wedding anniversary. The man who won the Nobel Peace Prize in 1984 during the height of the struggle against South Africa's racist policy of apartheid was previously hospitalised in April 2013. Earlier on July 14, Tutu called on South African to observe Nelson Mandela International Day which falls on July 18, for the man who led his country to freedom in 1994 after the end of apartheid. Mandela and his friend Tutu are South Africa's two best known Nobel Peace Prize winners, both propagating a policy of reconciliation with the country's white minority. "Nelson Mandela International Day focuses our attention on each other, and our responsibilities to live Madiba's legacy forever through the work we all do," Tutu said through his foundation. 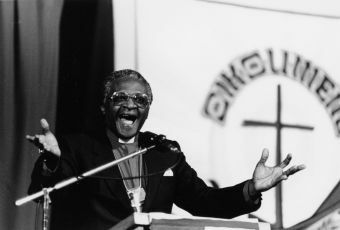 Tutu, the former South African Anglican leader, headed South Africa's Truth and Reconciliation Africa after Mandela led the country to freedom following the first universal suffrage elections. "Forgiveness says you are given another chance to make a new beginning," he said at the time. The 83-year-old Nobel peace laureate is expected to be discharged this week, The Citizen said. "His family hopes he will be able to return home in a day or two," said their statement. (Photo: WCC / Peter Williams)Vancouver, Canada, 1983, 24 July - 10 August, World Council of Churches 6th Assembly. Bishop Desmond Tutu of the South African Council of Churches. The "Arch", as he is popularly known, had appeared to be in good health recently, but he has battled prostate cancer for more than a decade. Tutu attended a ceremony July 4 in the Holy Cross Anglican Church in Soweto where he and his wife held a marriage vow renewal ceremony in the area where they used to live. The Associated Press reported Tutu danced stiffly as choristers sang and was frequently on his feet, thanking the congregants at the end of the three-hour event. At other times, he sat with his eyes closed, the news agency said. 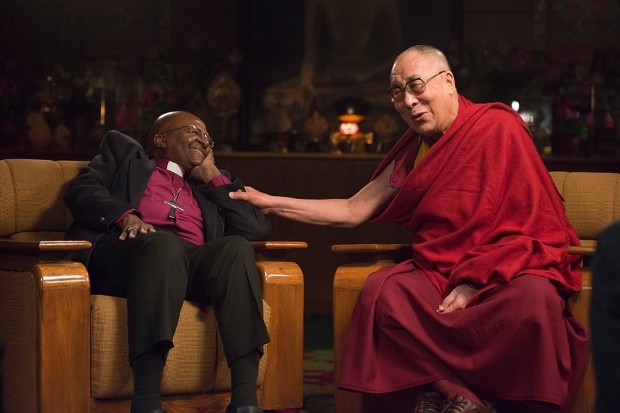 (Photo: Dalai Lama's Facebook page)Two Nobel peace prize laureates: South African Archbishop Emeritus Desmond Tutu and his old freind the Tibetan Buddhist leader, the Dalai Lama share a joke in 2015.